Protect your clothes while you cook by wearing this apron, which comes with oven mitts, pot holder and kitchen napkins. 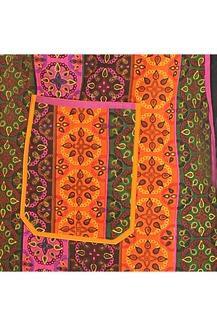 It is made of a good quality fabric that will make sure you feel comfortable while cooking. 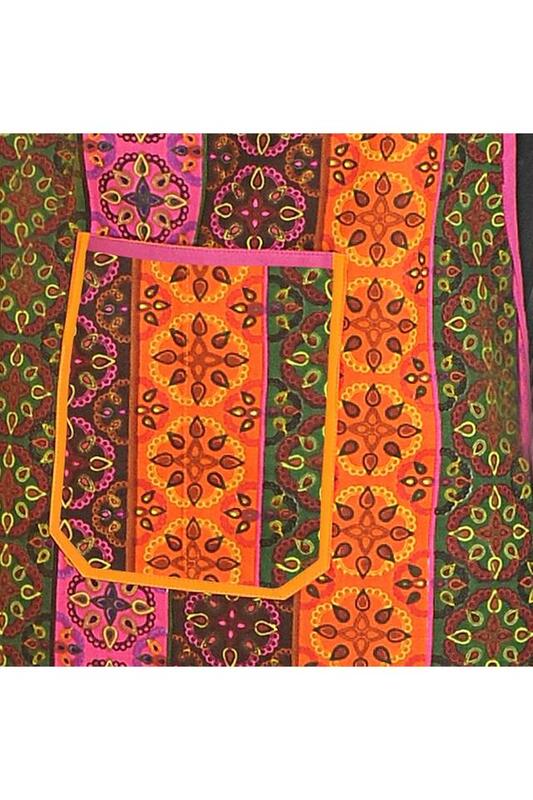 Featuring a printed pattern, this set has a simple yet stylish look. 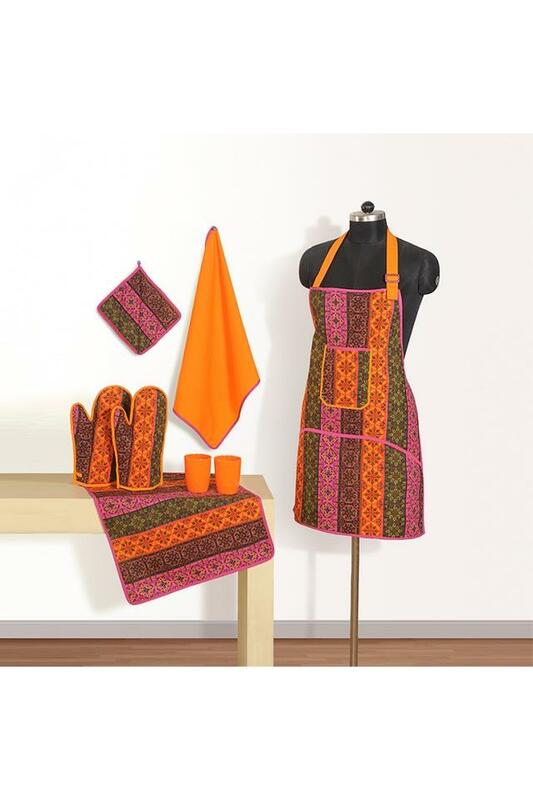 Upgrade your kitchen linen collection with this simple yet trendy apron set from Swayam.